Published March 1, 2018 Filed under Under Our Dome, USN Columnists. Total of 1 comment in the discussion. The Utah state legislature has a responsibility to the citizens of Utah to ensure that laws it passes are correctly implemented, that the funds it appropriates are properly used, that the authority it grants to its subdivisions is appropriately exercised and that corruption is investigated and prevented from occurring in the future. Unfortunately, the legislature has largely abdicated its oversight responsibility. 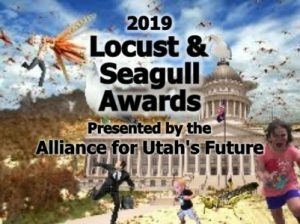 It has allowed a culture of corruption to develop which is epitomized by the Utah Transit Authority, the embezzlement of taxpayer funds by local government employees and the disregard for open meeting laws by local officials. It has allowed the executive branch to investigate itself and it has allowed local entities to run wild. In sum, it has become the servant of executive agencies and local governmental entities rather than exercising its oversight authority of them. It is important to remember that the Founders made no mention of local government, including limited purpose entities, in the U.S. Constitution which means that city and county governments are creations of the state constitution and statutes passed by the legislature as are special districts and other limited purpose entities that carry out governmental functions. Therefore, all of these entities are accountable to the state which created them. 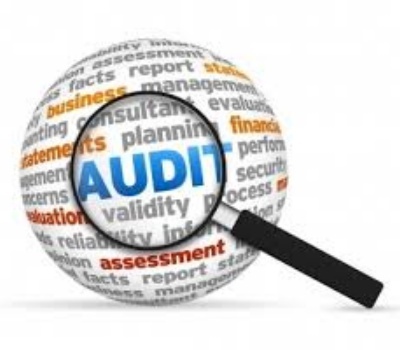 The lack of legislative oversight has made it necessary for the State Auditor’s office to conduct performance audits to ensure that legislative created and/or funded entities are carrying out the functions in the prescribed manner. The lack of legislative oversight has allowed certain local government and limited purposes entities to operate in total disregard of open meeting laws with little accountability for taxpayer funds. The lack of legislative oversight has allowed the embezzlement of taxpayer funds to go unchecked for extended periods since the legislature has not held hearings to determine if there are system wide structural and/or managerial failures that need to be addressed. The lack of legislative oversight has allowed multi-million dollar payments to be made to state contractors without proper documentation and for the executive branch to investigate itself rather than holding formal, public hearings to address the abuses. The lack of legislative oversight allowed a governor to accept large campaign contributions from a firm competing for state contract without any legislative inquiry. The lack of legislative oversight of the Utah Attorney General’s office during Mark Shurtleff’s long tenure allowed incidents to occur and prosecutions to take place that may have been avoided if the legislature had exercised appropriate oversight. When the legislature fails to carry out its oversight function and relies on the legislative and state auditors to do it, transparency suffers because agency heads or those involved in corrupt practices may not called before the legislature in a public setting. In addition, audits, while effective are necessarily limited in number and scope, are frequently resolved behind closed doors and allow the offending parties to avoid public testimony and questioning by legislators. Relying on existing legislative committees is not adequate since these committees are narrowly focused on specific issues and are not able to investigate systematic failures that routinely occur in local governmental entities or issues that do not fall cleanly within a single committee’s jurisdiction. Utah’s legislators never tire of saying that Utah is the best governed state in the nation. However, given the frequent reports of embezzlement, UTA type shenanigans and other improprieties (see list below), they really need to create a strong oversight committee with broad investigatory powers since the auditor’s findings may well be just the tip of the iceberg. Unfortunately, 4SHB175 as passed by the House does not do this since the legislature caved to pressure from the very entities they created and exempted them from the jurisdiction of the proposed Joint Committee on Government Oversight. The legislature really needs to start carrying out its critical oversight functions rather than kowtowing to the executive branch that they are constitutionally equal to and letting the local governmental entities that they have created dictate the terms of engagement. June 28, 2011. Yesterday former Morgan County council administrator pleaded guilty to six felony counts that included the embezzling of nearly $1 million from the county and a couple of banks. March 15, 2012. A routine financial audit has turned into a full-fledged investigation after account anomalies were found in the budget of American Fork City. March 14, 2016. An investigation into charges that Kane County Treasurer Georgia Baca funneled public funds into her own personal accounts has identified more than $90,000 missing, according to a report released Monday by the Utah State Auditor’s office. April 10, 2016. A now-former employee of the Utah Communications Authority (UCA) and her daughter have admitted charging $1 million in personal expenses on the agency’s credit cards and covering their tracks by manufacturing phony paperwork. July 20, 2016. – Officials say a woman who worked at the Utah Schools for the Deaf and Blind embezzled more than $67,000 in donations and state funds over a period of four years. Utah State Auditor John Dougall said it’s likely that the woman, who worked at the school for years, stole even more money than that. August 4, 2016. Controversy over the exponential growth of “incentive” pay to four top leaders of the Unified Fire Authority — totaling more than $400,000 over the past five years — has spurred state officials to investigate Utah’s largest fire agency. State Auditor John Dougall’s office has launched an investigation of “a complaint alleging improper compensation to certain employees,” according to a letter sent Wednesday to the UFA board. October 14, 2016. Ken Bullock, executive director of the Utah League of Cities and Towns, loved to travel to watch his son, Elliott, play basketball for Stanford University. The trouble is, he used the credit card of his taxpayer-funded group to pay for it. January 19, 2017. Former Utopia employee accused of embezzlement, including $51,000 spent on iTunes. May 18, 2017. The Utah Office of the State Auditor (Office) earlier this week released its Audit of the Department of Environmental Quality (DEQ), Division of Water Quality (DWQ), identifying misappropriation of public funds by a former DWQ employee. The Office found that the former employee was improperly reimbursed for travel costs amounting to at least $20,404 from July 2006 through October 2016 based on fictitious hotel invoices. The Office also estimates that $124,049 in salary was paid to the employee during these purported business trips. June 21, 2017. A hidden level of Utah government — nearly 500 entities that spend $3.5 billion a year to provide limited services such as water, sewer, recreation, police or fire protection — is rife with “poor governance and weak oversight,” a new audit says. So House Speaker Greg Hughes and Senate President Wayne Niederhauser warned such agencies Tuesday that they will “aggressively review” their compliance with a new list of best practices suggested by the legislative auditor general’s office. “We intend to assign the auditor general annual follow-up reviews to verify that these best practices have been successfully implemented,” they wrote to the agencies. November 1, 2017. A Uintah County special service district that oversees transportation potentially violated open meetings laws on multiple occasions and had inadequate spending controls on payroll, credit cards, meals and travel, a new state audit says. November 26, 2017. The Utah Board of Parks and Recreation, along with several other boards within the Utah Department of Natural Resources, haven’t been following public records law. December 13, 2017. Park City School District awarded an inappropriate contract to a general contracting firm that later violated state law while acting on the district’s behalf, according to a new audit. Utah Standard News is deeply committed to restoring government oversight through non-partisan journalism. 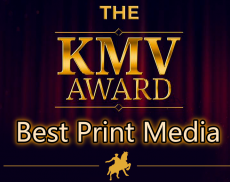 In order to provide top-quality news coverage and investigative work to your readers, our work is free for printby clicking on the ‘Republish/Reprint‘ button at the top right of this article.